Wraith After living in an old mansion for almost 10 years a family suddenly discovers a ghost-like presence trying to communicate with them. A super-natural thriller. Rukh After his father dies in a car accident, a boy rediscovers his lost connections and familial ties, confronting untold secrets and memories on his way. Ajin: Demi-Human A high school student discovers he is an Ajin, a demi-human being. He ends up a fugitive on the run because of his powers. You Were Never Really Here A traumatized veteran, unafraid of violence, tracks down missing girls for a living. When a job spins out of control, Joe’s nightmares overtake him as a conspiracy is uncovered leading to what may be his death trip or his awakening. Spinning Man A happily married professor, known for having many affairs with students, becomes the prime suspect when a young woman has gone missing. Asylum of Fear When a team of paranormal investigators is hired to inspect a soon-to-be demolished mental institution, they discover horrifying clues that reveal the cause of a violent massacre by an insane doctor in the 1960's. Stillwater A weekend camping trip among six old friends in Northern Minnesota's "Boundary Waters" turns tragic after one dies under mysterious circumstances, triggering further turmoil as they attempt to unmask the killer within their own group. Montage 15 years ago, a mother lost her child in a kidnapping case. A similar crime happens again and she won't let him go this time. Insidious: The Last Key Parapsychologist Dr. Elise Rainier faces her most fearsome and personal haunting yet - in her own family home. The Pact II A woman who is plagued by nightmares involving a serial killer learns her dreams have a horrifying connection to the real world. The Outsider An epic set in post-WWII Japan and centered on an American former G.I. who joins the yakuza. 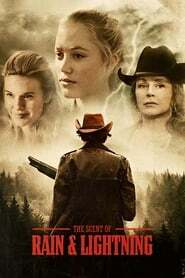 The Vanishing of Sidney Hall Sidney Hall finds accidental success and unexpected love at an early age, then disappears without a trace. Curvature CURVATURE is a time travel sci-fi drama about an engineer who travels back in time to stop herself from committing a murder. The Summoning When a law student uncovers chilling secrets and places her life at risk, a bitter, rough-around-the-edges detective gets assigned to her case. I Remember You A story about a young man and woman who move into a small abandoned town in Iceland to renovate an old house. Little do they know the town has a dark history. Mute A mute bartender goes up against his city's gangsters in an effort to find out what happened to his missing partner. 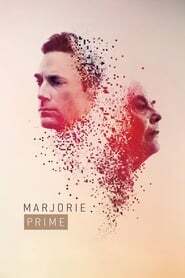 Marjorie Prime A service that provides holographic recreations of deceased loved ones allows a woman to come face-to-face with the younger version of her late husband. Veronica Mars Years after walking away from her past as a young private eye, Veronica Mars gets pulled back to her hometown, just in time for her high school reunion, in order to help her old flame Logan Echolls, who's embroiled in a murder mystery.